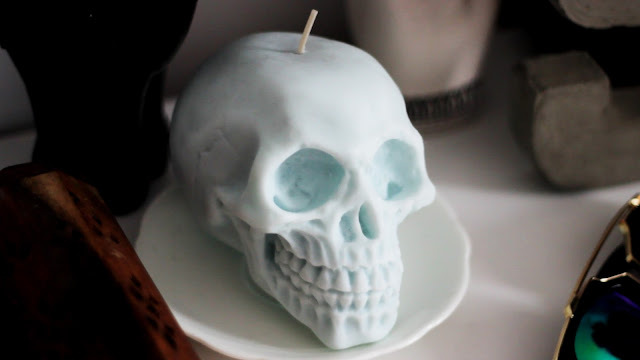 Etsy Homeware and DIY Haul || Shop Small and Independant! So, if you've seen any of my Christmas or Valentines Etsy hauls on YouTube and here on my blog, you'll know that I absolutely adore shopping small and supporting independent businesses! I think it's super important to support new, small and/or local businesses rather than big corporate companies, and I always find the best, quirkiest stuff and receive better customer service with smaller companies! 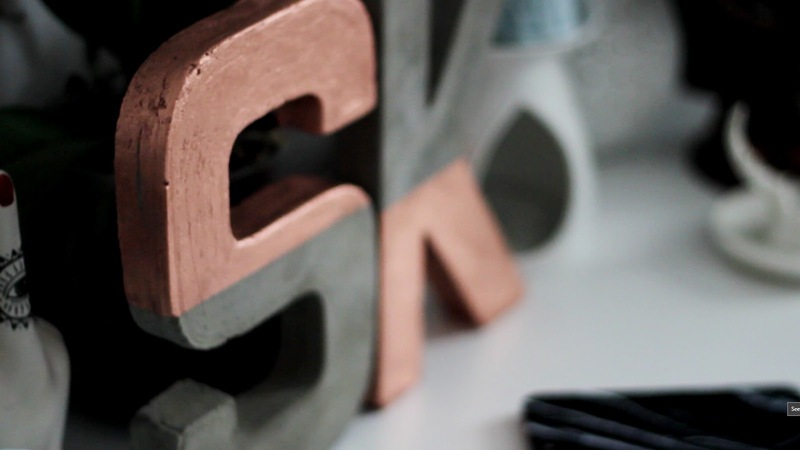 The first two pieces which I purchased are these absolutely gorgeous concrete letters dipped in copper from Concrete Alphabet for mine and my boyfriend Karl's bedroom. 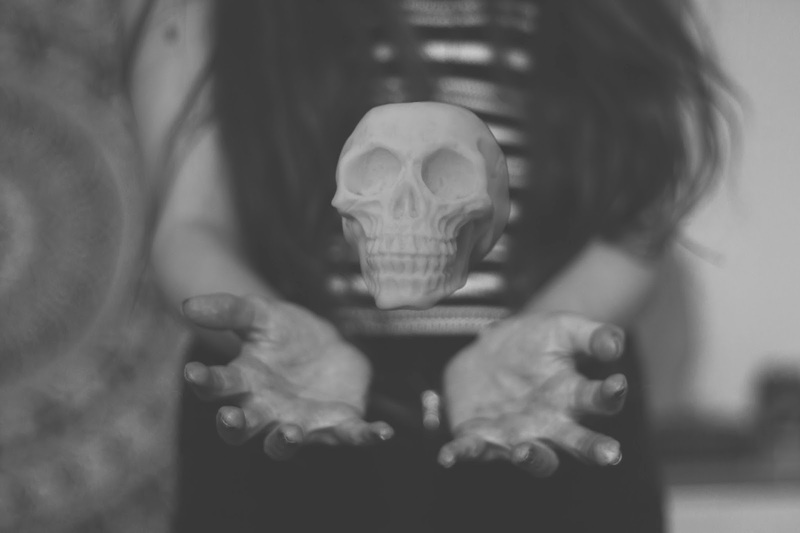 They are 20cm tall, made from concrete with half dipped copper paint, and I'm in love! Josie, the shop owner, is the most loveliest person ever and has the greatest customer service ethos, seriously! I told her exactly what I wanted, and she accommodated, and updated me whilst hand making my custom order, showing me before paint, informing me when she posted, and so forth. Yep, I almost had a fit when I stumbled across these on my Etsy homepage and rampaged on to their shops profile. Much to my boyfriends dismay as he had actually already purchased two of them for a surprise present for me... Safe to say it was no longer a secret as he just had to tell me. Check these guys Etsy page out, here https://www.etsy.com/uk/shop/EmberCandleCo they are taking a short break, but will be back up and running on the 21st of May, 2016! Aaaand finally, the last thing I brought from an Etsy seller is this great alphabet stamp set from TGO2014. 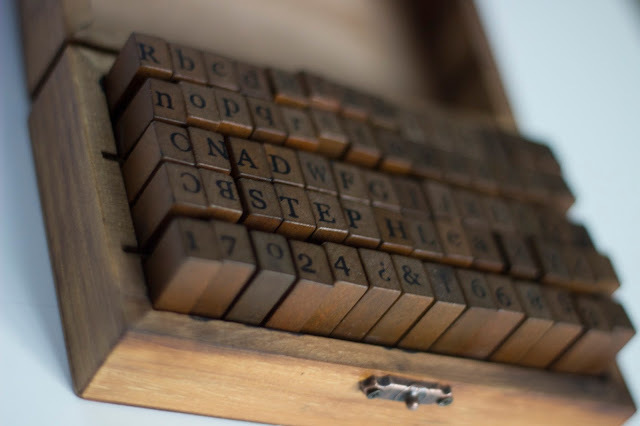 I brought these for my boyfriends photography business, Revive Photographic to stamp our clients names or initials to keepsake boxes, name tags etc for a rustic aesthetic overdrive, haha. I love the wooden box that they came in, as they make for great decoration. Bit of DIY and home-ware in one, perfect! One thing I really dislike about this product though, is that the stamps themselves are just wooden pieces with a rubber stamp stuck on the end. It's not attached properly, which then makes the product feel and appear to be quite tacky and cheap. At the end of the day I did pay under £10 for them, and you pay for what you get, right? So I can't complain at all, really... It does do the job, though! So that concludes my Etsy haul. Do you see why I love small, independent shops? How incredible are these items?! I'm in love. I'll always be a vintage and charity shop, and small business girl, for sure. What's your favourite item in this haul? Do you have your own business, and/or Etsy shop? Have your purchased anything from a local, independent seller recently? Let me know in the comments! Disclaimer: all products were purchased with my own money, and views are my own. Photography is by Revive Photographic.